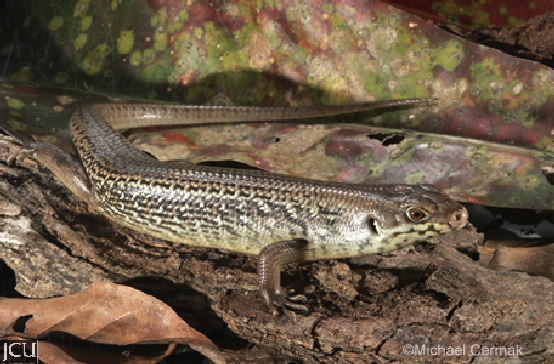 This large skink is often found around rocky outcrops in well-vegetated areas. It is chiefly coastal. The body and head are broad. The body is pale brown to chocolate brown but the scales have a darker streak in the centre which gives the effect of broken line of short stripes. Flanks are paler in colour with paler spots or blotches; belly is white to yellowish.